Tone King proudly releases the Falcon Grande 20w Combo Amplifier. Pure Vintage inspired tube tone made in USA for NZ's power supply. Includes built in Ironman attenuator. 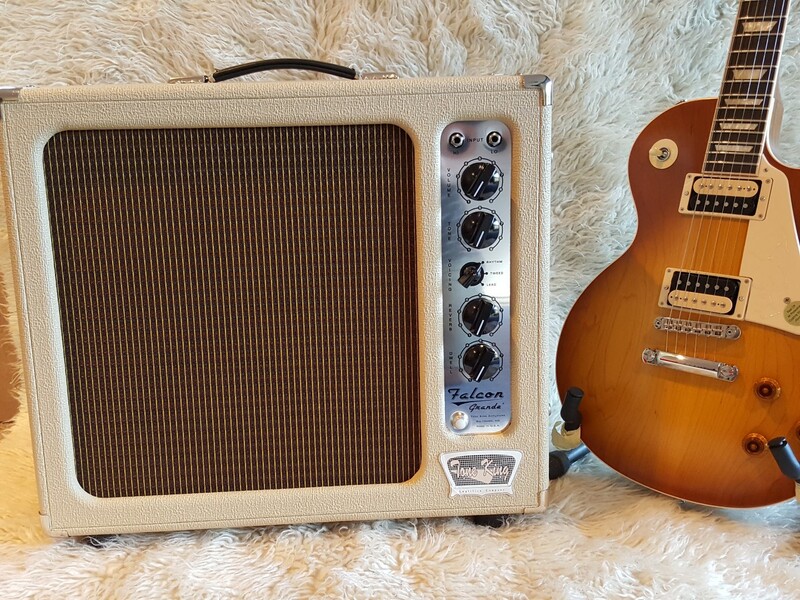 The 20W, 1×12" Falcon Grande combines the sonic purity of a simple Volume/Tone single channel design with the flexibility of a footswitchable 3-position voicing switch, to deliver 3 distinct flavors of old-school vintage tone inspired by classic amps of the '50s and '60s. By using two 5881 output tubes in an ultralinear configuration, combined with a highly resonant tuned speaker cabinet, the Falcon Grande creates its own unique voice - deep, rich, and totally authentic vintage. An innovative integral acoustic lens controls the dispersion of high frequencies to deliver a lush warmth and lively presence without harsh brightness.